Baking your own bread is about more than a moment of creativity in the kitchen, it is also a political statement. You are, in effect, part of a movement that is about consciousness and reclaiming our food. Bread is at the very core of food activism, and celebrates all that is good about sustainable production of food. It is a delicious movement, so to start the New Year I have made a very simple fresh, spiced chutney, which uses up the leftover cranberries from Christmas. 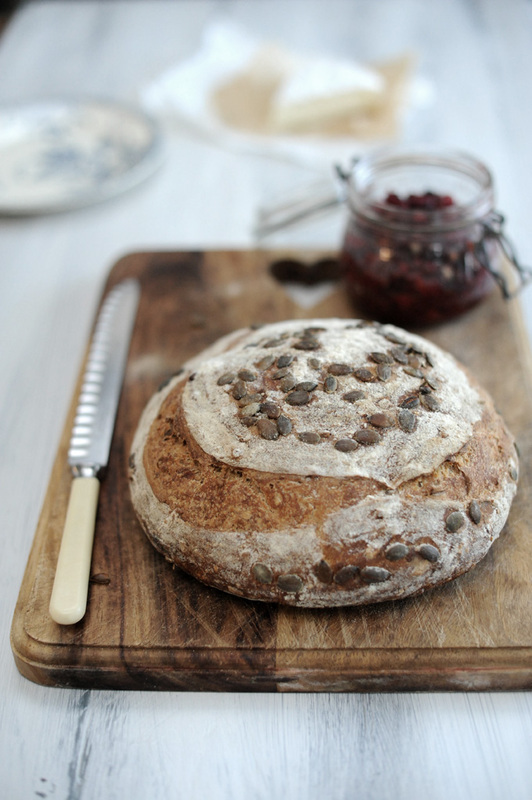 Adding seeds to your regular sourdough gives your bread extra flavour, nutrients and a delicious texture. I’ve added a handful of sunflower seeds, pumpkin seeds and linseed to this loaf. Adding seeds to your regular sourdough loaf gives your bread extra taste, texture and nutrients. For the cranberry chutney: Heat the oil in a large heavy pan over medium heat. Add the shallots, garlic, and ginger and cook, stirring occasionally, until the shallots soften. This takes about 5 minutes. Stir in the cranberries and vinegar add the chilli and lower the heat – simmer with the lid on for 5 to 6 minutes until the cranberries are cooked. Stir in the sugar and salt then cook for a further 3 minutes. Cool, and then taste to adjust the seasoning. This is fresh chutney so it will keep in the refrigerator for up to 5 days. For the spiced cranberry and turkey sandwich on seeded sourdough: Spread a thin layer of butter on each slice of lightly toasted seeded sourdough bread followed by a layer of rocket then turkey followed by some local brie and then spread a thick layer of cranberry chutney. Place the remaining bread slice on top and cut in to two. 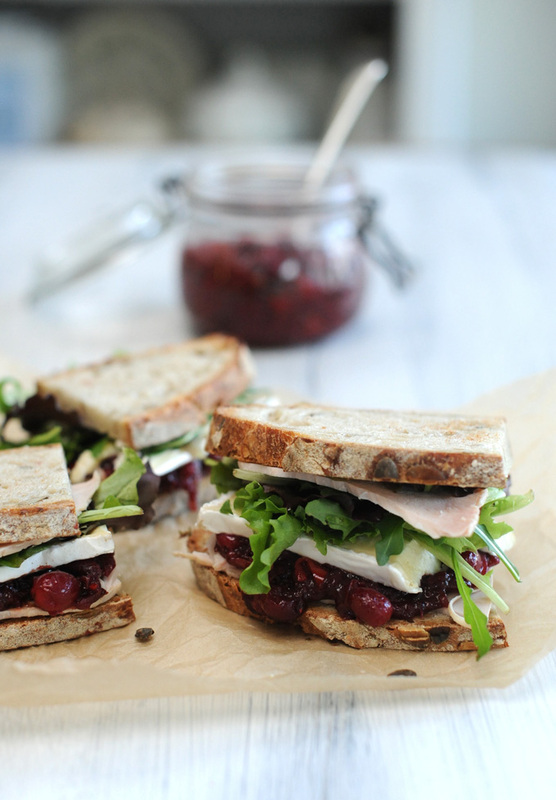 Share the post "Spiced cranberry and turkey sandwich on seeded sourdough"
Oh.. now THAT sounds utterly amazing. I had a nice cranberry chutney last week at a restaurant with the cheeseboard, and had never really thought of it before. And now this, thank you! Absolutely Devine! Can we get the recipe for the seeded bread please? I will be doing seeded loaves this month, but my recipes are generally for sourdough club members. If you email me in a couple of weeks I will email you the recipe directly.